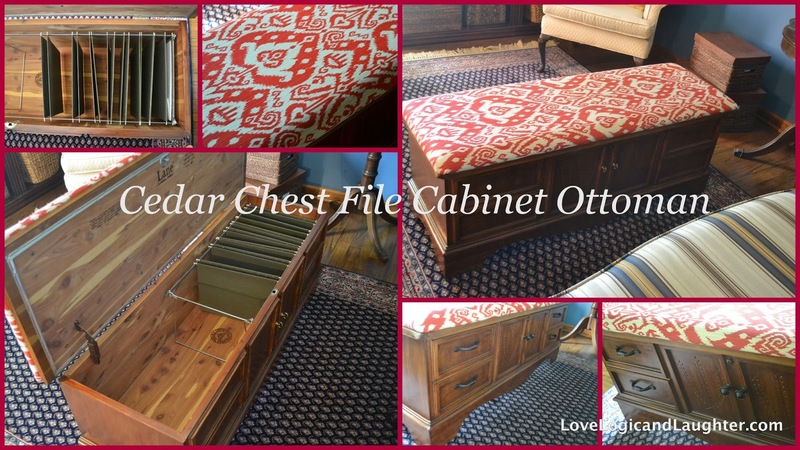 One of my good friends, Kim, showed me how she transformed an old cedar chest into a file cabinet! We have one file drawer in our house that is filled to the brim - we have files from old taxes, old houses, adoption papers, etc. So, when redesigning our office into a reading room I decided to use an old chest as the coffee table/ottoman knowing I would use the inside as file storage. or set a book or coffee. I used an outdoor fabric for the top. That way people (children) can sit on it, put their feet on it, and even spill a coffee on it and it will be OK. 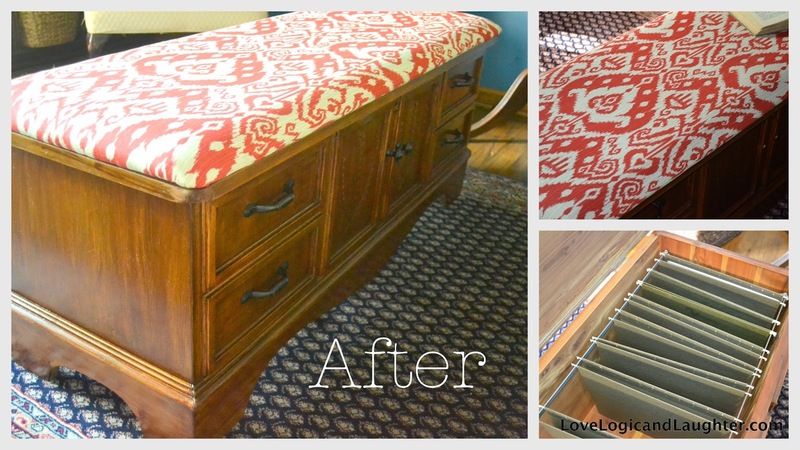 I love the bold red ikat fabric! It coordinates well with our rug and sofa, but adds a slightly modern touch to the other more traditional elements in the room. You can see the bottom right and upper left corners were damaged. After a little sanding and re-staining the new corners just add character to the piece. I also switched out the hardware. And, of course I recovered it. 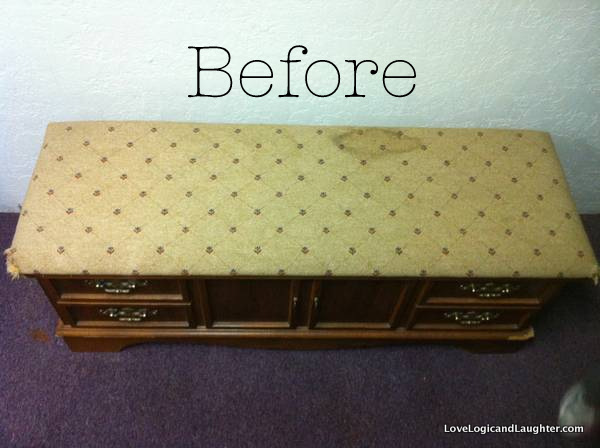 To see how I recovered it check out my previous post: Recovering a Foot Stool. I used the same method here. I love how it looks from our front hallway. When you walk in our front door and look left down the hallway it adds a bit of fun color!